The number of mid-range tablets are decreasing day by day which gives us limited options to choose from. Asus is popular for offering affordable tablets with great specs and now there is a new tablet in town: the Asus ZenPad 3S 10. To know more about this tablet including the Asus ZenPad 3S 10 Nigeria price and specs, keep reading. It’s difficult to talk about the design of the Asus ZenPad 3S 10 without comparing it to the Apple iPad Air 2. The diamond-cut edges and premium aluminum body makes the tablet really sleek and attractive. One of the best thing about this tablet is its display as well which is a 9.7-inch IPS display showing 2048 x 1536 pixels resolution. This display comes with oleophobic coating. It’s surprisingly thin at 7.2mm and weighs about 430g. There is no cellular connectivity which means no SIM card slot to look forward to. It’s available in two different colors: Grey and Silver which is why it’s easy to compare it with the iPad. 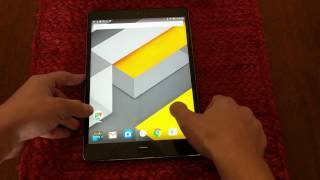 To make sure users get a smooth Android Marshmallow 6.0 operating system experience, the tablet is packing a Mediatek MT8176 hexa-core processor paired with 4GB of RAM. There are two different storage options to choose from: 32GB and 64GB but these can be easily extended to up to 256GB as there is a dedicated microSD card slot. With this fast processor and more than enough storage, playing all the latest games shouldn’t be a problem for you. To keep all your contents secure, there is an accurate and fast fingerprint scanner that comes with multiple app integration support. If you are looking for a tablet that can replace your laptop, there is the Microsoft Surface Pro 4 or Google Pixel C running Android you can check out. These are more expensive compared to the Asus ZenPad 3S 10 Nigeria price. 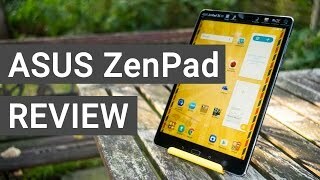 Tablets are not really popular when it comes to its camera and the Asus ZenPad 3S 10 is not too different. Users get a decent 8-megapixel rear camera and a surprising 5-megapixel front camera for taking pictures. According to Asus users can capture up to 400% brighter photos at low light which definitely sounds good. The size of the battery powering this device is a negative part of this tablet as it’s only a 5900mAh one. Considering the specs inside, this is definitely quite small. However, users can quickly charge it thanks to the Quick Charge 3.0 technology included inside. For those who are interested to check out some more affordable tablets, there is the Asus ZenPad S 8.0 and Samsung Galaxy Tab S2 8.0. As mentioned earlier, the tablet is affordable and is available for around ₦ 127900 at the moment. It’s already here which means no need to wait for the Asus ZenPad 3S 10 release date Nigeria. The zenpad 3s 10 Tablets & EReader is manufactured by Asus and was added around November 2016 and is part of the Asus ZenPad 3S 10 series. 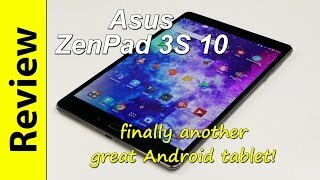 Asus ZenPad 3S 10 Review | finally another great Android Tablet! 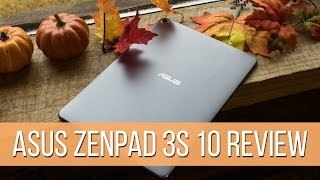 Asus Zendpad 3s 10 BEST ANDROID TABLET UNDER $300! 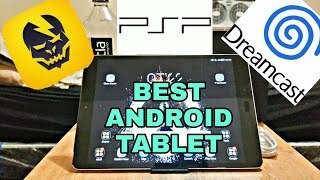 ASUS ZenPad 3S 10 Review: The Best Android Tablet? 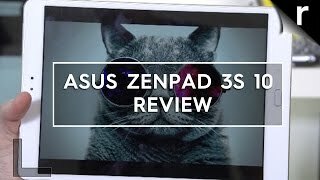 Asus ZenPad 3s 10 Review: iPad Pro beater at £300?